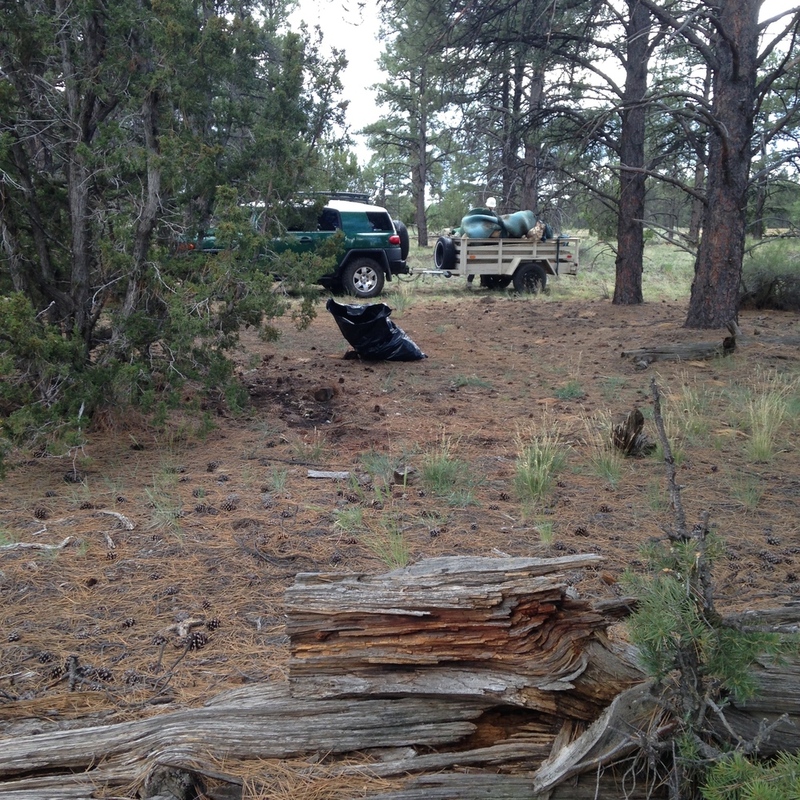 Arizona Trial Near Walnut Canyon. 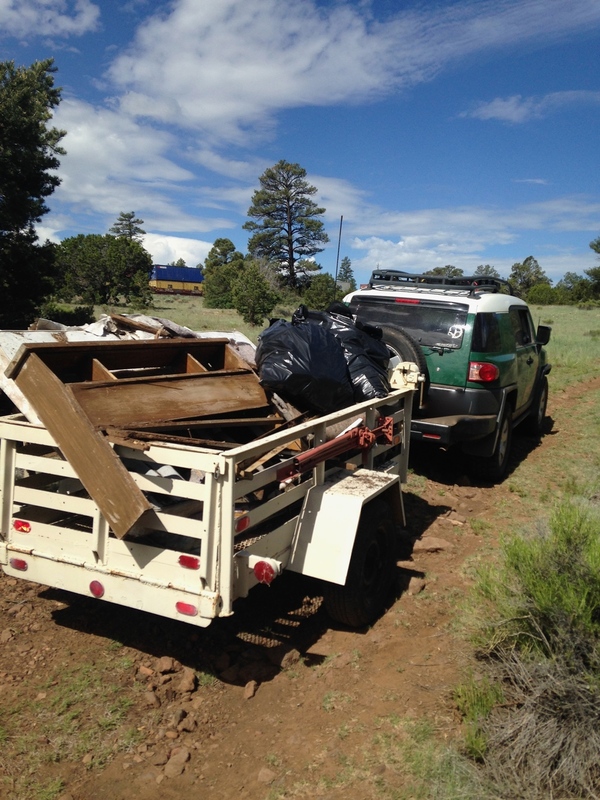 Our Trash Cleanup Project along the Arizona Trail near Walnut Canyon was a great success! 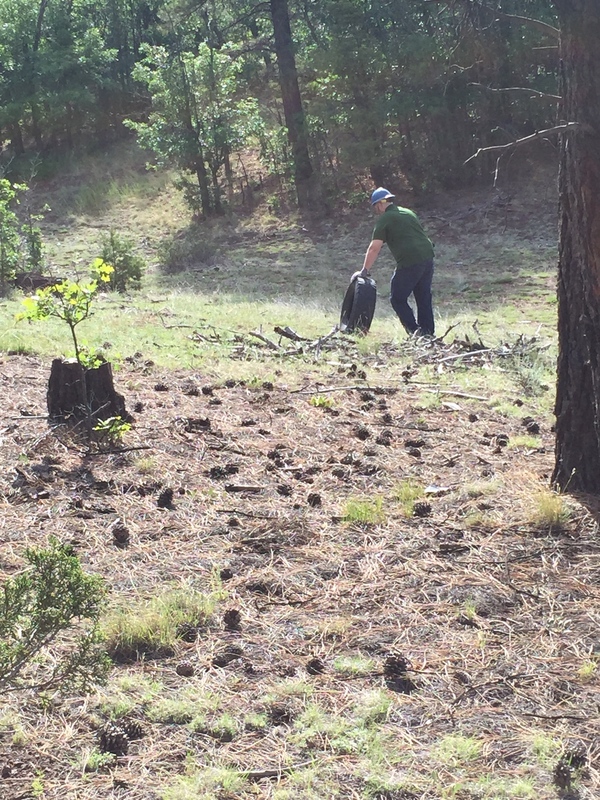 We are grateful to all of the hard working volunteers who spent their Saturday morning with us removing trash and debris from this beautiful area in the pines. We had two trucks and trailers running all morning picking up a refrigerator, mattresses, tires, a camper top, scattered trash and much more. 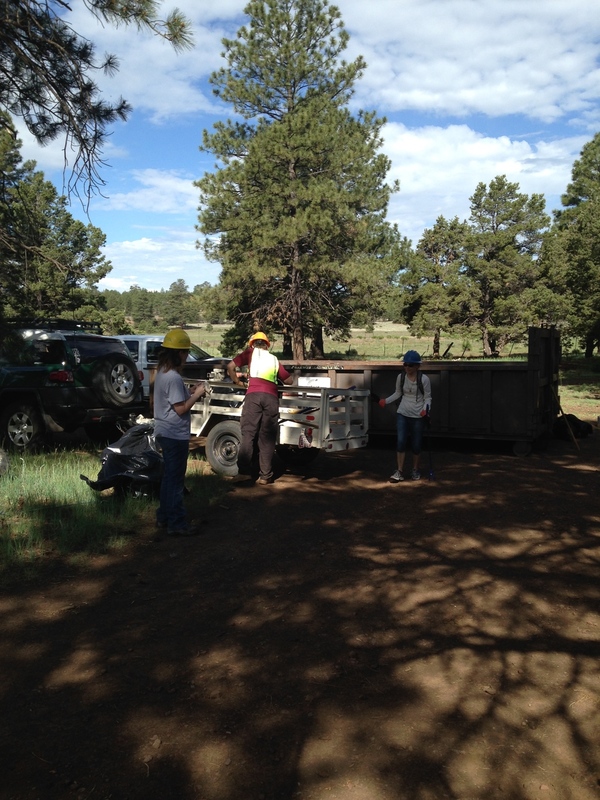 According to the City of Flagstaff Dump, we removed 1.71 tons of trash. 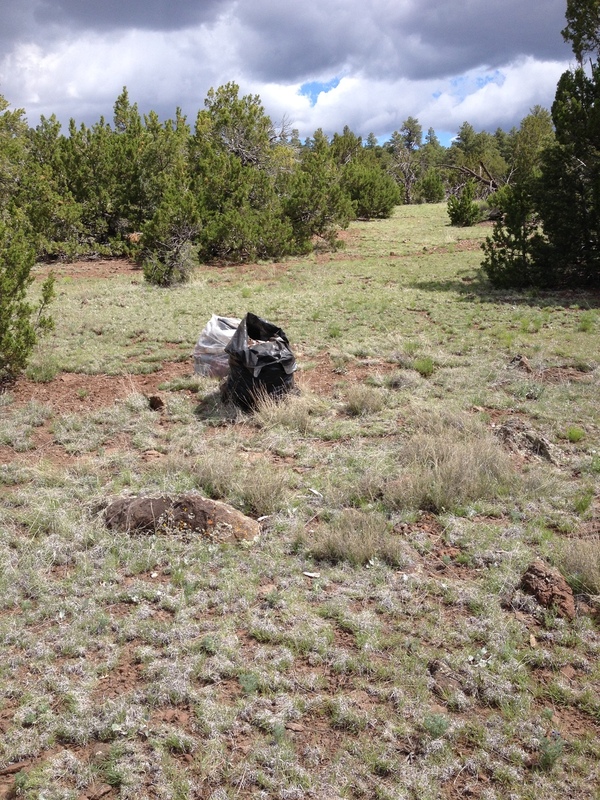 We were unable to remove the trash from two areas due to some target shooting in the area. We will be back for the rest on 08/15/15. 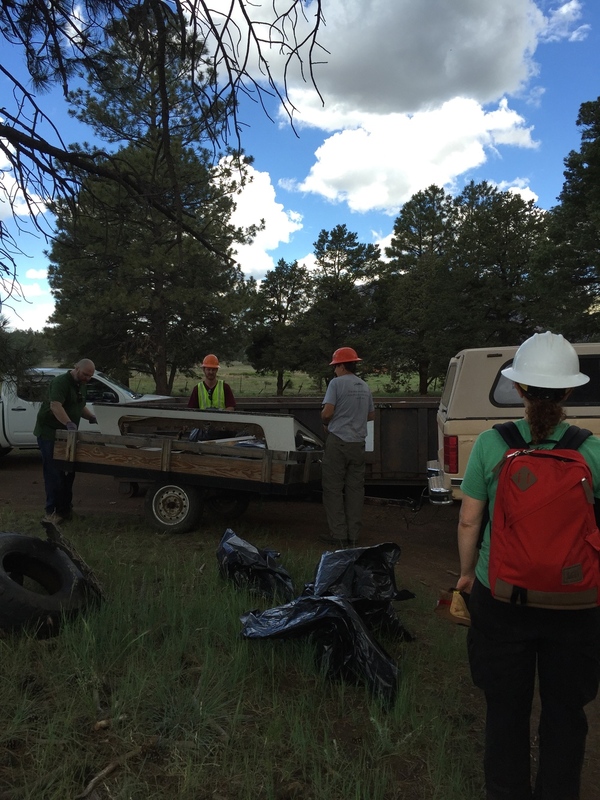 Big thanks to all of the organizations that made this cleanup possible: The Arizona Trail Association, US Forest Service, Sprouts, Safeway, Home Depot, City of Flagstaff Dump, and First Class Sanitation.